If you are in most places in the States, you will see Christmas decorations go up sometimes even on the day of Thanksgiving. In Italy, most people wait until December 8th to start the Christmas decorating and to put up their tree. December 8th is a public holiday in Italy to celebrate the the Feast of the Immaculate Conception of the Blessed Virgin Mary (L’Immacolata Concezione della Beata Vergine Maria). The feast is celebrated throughout Italy in different ways. In Central and Southern Italy there are celebrations with bonfires on December 7th and 8th. The bonfires could signify different things: some may say the fires are lit to warm the Madonna, others may say it is also to get rid of human sins and to eradicate any negativity that would be remaining in the upcoming year. More importantly, it is a way to gather people to pray together. 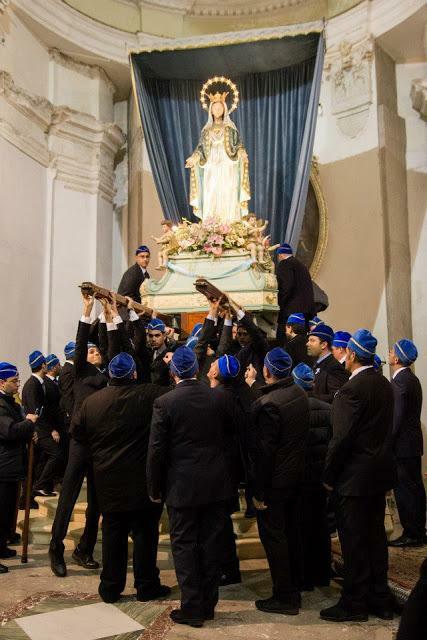 Here is a video from 8 dicembre 2013 Processione dell’Immacolata Concezione Della Beata Vergine Maria from Figlioli di Montoro (AV) -Avellino in the Campania region of Italy. Photography source: Paper Blog: Photographer: Alessandro Castelli. 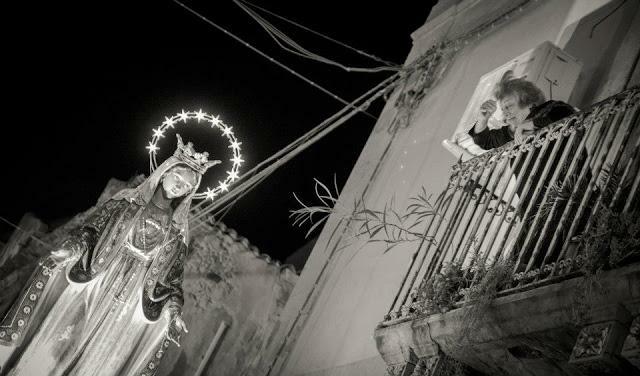 Photographs taken in Syracuse, Sicily.